Patch 5.2 was already out for 3 days. In World of Warcraft: Mists of Pandaria, as the second major content patch, 5.2 really does have something for everyone since it covers raiders, PVP, and solo PVE players. Bringing with it a plethora of new additions and changes. So we bring you an overview about the new content. Check out the information below and hope it will be helpful for your exploration in Patch 5.2. Area limit of Effect damage abilities is now up to 20 targets instead of 10, meaning that AOE can do more damage up to 20 targets and then start spliting damage above 20. AOE damage numbers and DPS in general for trash fights is likely to go up a little bit because of this change. In Patch 5.2 you can find Zandalari invasion forces in various areas around the Pandaren coastline. Yet you should watch for them as there are Zandalari scouts and warbringers and neither should be engaged lightly. Both of them will be hard for you to beat down. Since this patch focuses on the Thunder King, in only makes sense that there is a new zone that represents his area of control. This new isle is the Isle of Thunder. You can enter this new isle by visiting several new factions, which we will introduce later. 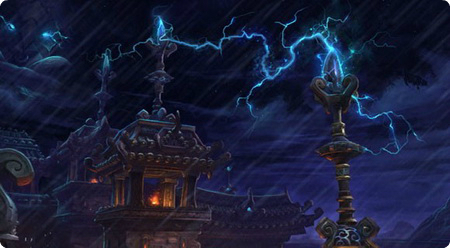 Besides the Isle of Thunder, there is a new raid in Patch 5.2, which is called the Throne of Thunder. This new raid is based on the story of Emperor Lei Shen and is a giant raid with 13 bosses to defeat. It also has an LFR version, which was broken 4 different wings that can be dealt with separately. There are two new factions introduced in Patch 5.2: Kirin-Tor Offensive of Alliance, and Sunreaver Onslaught of Horde. These two new factions revolve fighting to gain control over the newly revealed Isle of Thunder. Both factions setup bases on the newly revealed isle. These faction bases can be reached by visiting their representatives near the Shado-Pan Garrison in the Townlong Steppes. There are many brand new daily quests added in Patch 5.2. New dailies are mainly taking place on the Isle of Thunder. 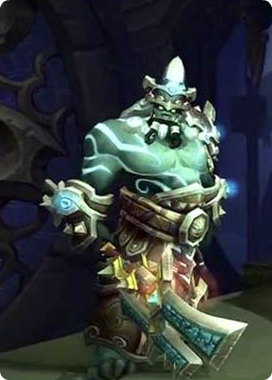 You can check them in this article: World of Warcraft: Patch 5.2 Daily Quest Introduction. In this new patch some changes has taken place of current currencies in World of Warcraft, like valor points and justice points. Now you can exchange valor points to justice points, with a rate of 50% instead of previous 25%. On the PVP front conquest points will downgrade to honor and players will need to earn new conquest points. While Elder Charms of Good Fortune will remain in the game however they will not be usable in the new Throne of Thunder raid. Instead there are new Mogu Runes of Fate that have been added to the game that will provide extra loot rolls in the new raid. Talking about the points, Arcane upgrader must be mentioned because it was removed in Patch 5.2. The ethereal for upgrading items with valor or justice point is not available no in Azeroth. Yet they may or may not come back in the future. Patch 5.2 introduces several new wild pets and pet abilities to give players even more pets to fight with and against. Also many existing abilities have been modified for better balance. 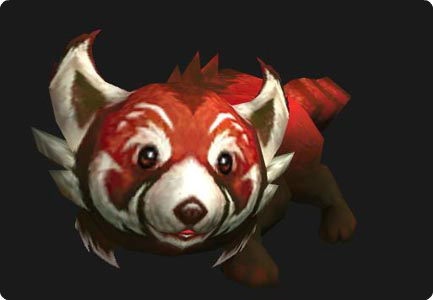 Several new elite pet battle pets have been added to the game, which will tie in with a new Beasts of Fable taming quest that can grant you an elite Red Panda Pet. Several new solos scenarios have been added as part of the new Isle of Thunder. They can be completed as part of the quest chain to unlock the entire isle. These scenarios are not traditional ones. These new scenarios can only be done once while working through the quest chain, but they are still new solo PVE content done in scenario format. If you remember the prince Wrathion, you may remember the quest he asked for your help, which is to help him in the battle to protect Azeroth. In Patch 5.2 he will turn to you again. This time is the newly revealed Thunder King. You can reach the new quest if you have completed those previous quest from Wrathion. If not, then you will not meet the new quest in Patch 5.2. Warlock quests return in Patch 5.2. 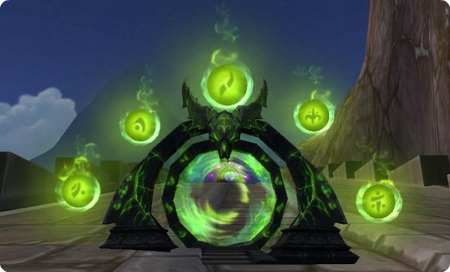 This new quest chain will send Warlocks back inside the dreaded Black Temple where they must complete several quests. Once completed the Warlock will be rewarded with the ability to use green fire based abilities. This quest chain is full of cool lore and story, definitely worth trying. There is a new Conquest PVP vendor that allows players that earn 27,000 conquest points in a season to purchase conquest PVP gear for honor. Season 12 PVP gear has been dropped from item level 483 to 476. Season 13 weapons are slightly cheaper than season 12 weapons were. In Patch 5.2, you will now literally be able to buy a Sunsong Ranch. This will give you the ability to complete various daily quests that will earn you reputation with the various factions around Pandaria. There are also some changes to farming at the ranch as well. You can plant 4 plots at a time with the newly added seed bags, specialty crops provide more items, and a master plow will deal damage to underground Virmen so you do not have to deal with them at full health.